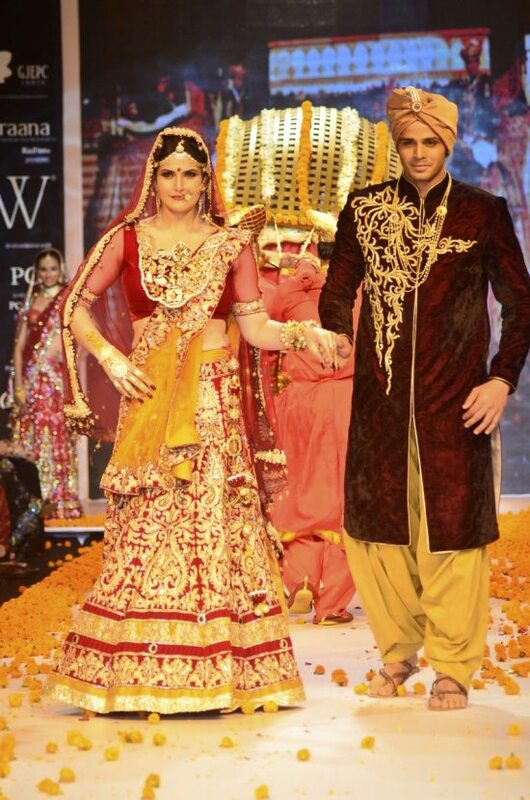 Zarine Khan oozes oomph as she dazzles in Swarovski at the IIJW 2014. 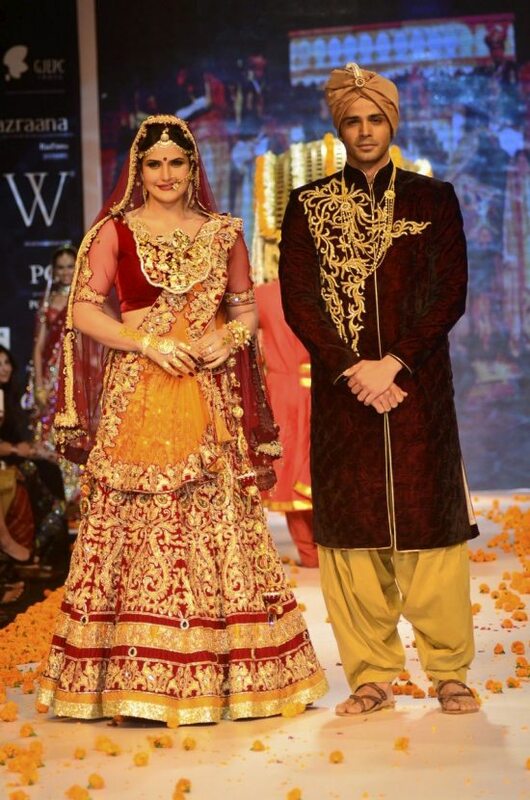 Bollywood actress Zarine Khan sizzled the ramp for Swarovski on Day 2 – July 15, 2014 – of the India International Jewellery Week (IIJW) 2014. 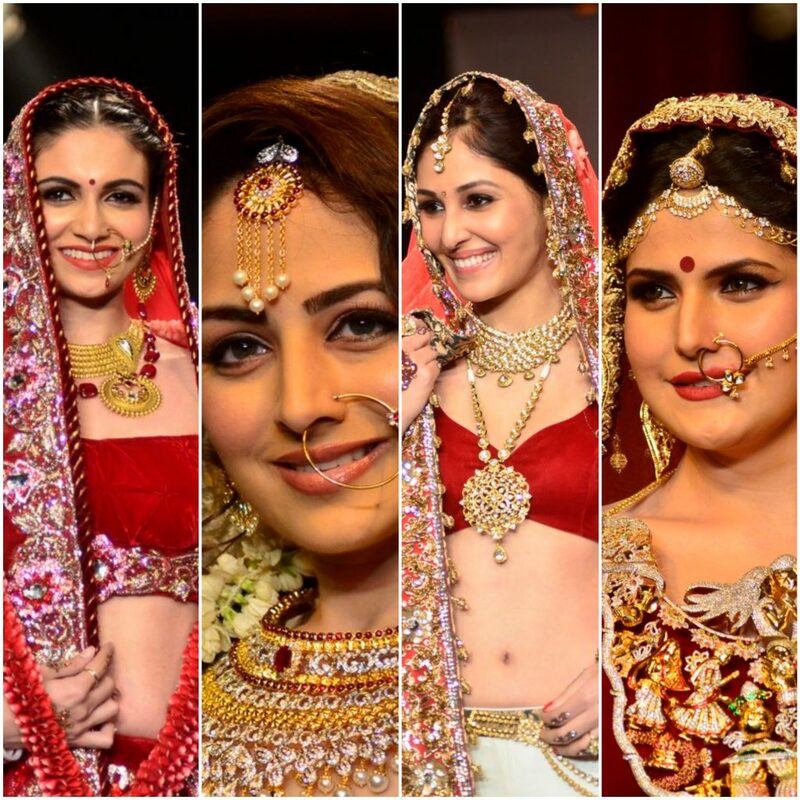 The show also had Pooja Chopra, Simran Kaur Mundi and Zoya Afroz who walked the ramp. The three day glamorous event is being held at the Grand Hyatt Hotel in Mumbai city. 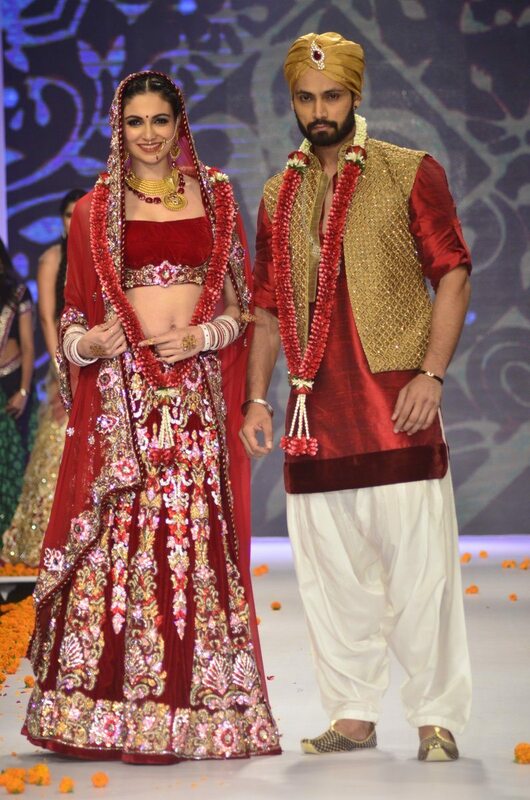 Zarine sashayed down the ramp in an elaborate bridal outfit, the typical earthy Indian red mixed with oodles of gold gave Zarine the fitting bridal aura. The luxury brand Swarovski has long been known for its exquisite jewellery, elegance blends with fine design to produce purely magical pieces of jewels.